Blank canvas venues are some of our favourite spaces to work at, allowing couples to truly get creative and build their dream wedding from the ground up. For brides and grooms-to-be planning a DIY reception, a blank canvas venue means you can put your own personal stamp on your wedding styling - particularly when it comes to furniture and decor selections. From bohemian-style receptions set underneath giant Tipi’s to elegant marquee settings overlooking the hinterland, we love seeing our couples get creative with their styling. And luckily, we have no shortage of incredible blank canvas spaces on the Gold Coast, Tweed Coast, Brisbane and Byron Bay! If you’re currently on the hunt for the perfect DIY wedding venue, keep reading for 11 of our absolute favourite locations for a blank canvas reception. Nestled in the stunning Tweed Coast Hinterland, Ardeena is a secluded blank canvas venue with a beautiful natural backdrop. Surrounded by lush rainforest and sprawling lawns, Ardeena also has a selection of both indoor, covered, and open garden spaces to take advantage of, depending on your wedding day vision! We are constantly keeping our eyes peeled for client photos from the Orchard Estate, because the end result is always AMAZING! With modern black cladding and light-filled interiors, the Orchard Estate barn opens out onto a sprawling lawn overlooking the beautiful Byron Bay hinterland. We love seeing our couples transform this blank canvas space for both cocktail and sit-down receptions! For a truly romantic setting, look no further than the Mediterranean architecture, immaculate interiors and hinterland views on offer at the incredible Earth House in Clunes, Byron Bay. With a picturesque barn-style structure complete with timber beams, polished concrete floors and rammed earth walls, Earth House is the perfect blank canvas venue for intimate DIY receptions in the hinterland. 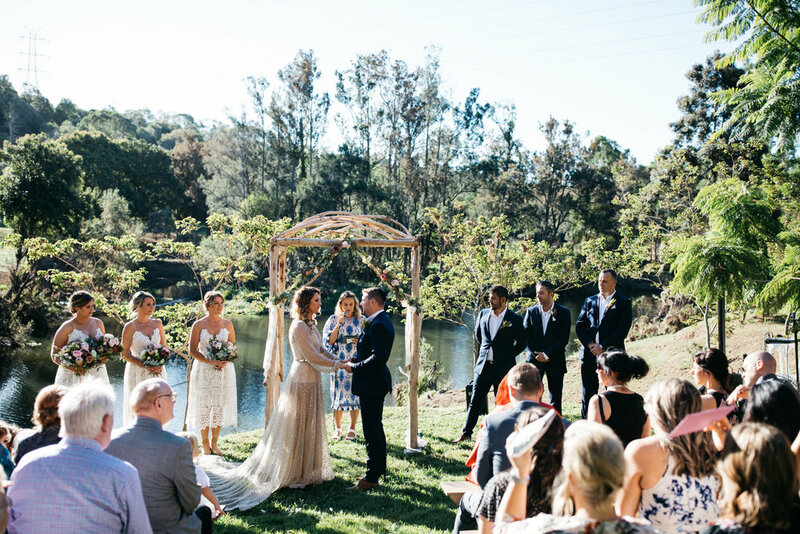 For a more low-key and relaxed reception, Riverwood Estate is a blank canvas wedding venue tucked away in the Gold Coast Hinterland within the foothills of Tamborine Mountain. With lush natural surroundings and plenty of open space to take advantage of, Riverwood Estate is ideally suited for couples dreaming of a Tipi-style setting under the stars, complete with bonfires and canapes by the creek. Surrounded by cobblestone pathways, manicured gardens and vine-covered walls, the sweet French Chateau-inspired setting of Deux Belettes would have to be one of the most unique and romantic venues to tie the knot. Located in Alstonville Byron Bay, Deux Belettes also includes an expansive outdoor space for elegant and sophisticared marquee receptions. One of the most iconic sites in Brisbane, the Gallery of Modern Art (GOMA) is also one of our favourite blank canvas venues for elegant and sophisticated wedding receptions. With an incredible rooftop terrace overlooking the city, the panoramic views from this venue are really something else. We love helping our clients create intimate settings for guests to enjoy as they experience the twinkling city lights from above! For the perfect “garden party” style celebration, Cedia House is a private estate located in Byron Bay. With tranquil gardens and manicured open lawns, the space at Cedia House is well suited for marquee receptions, complete with stunning views and on-site accommodation. We love seeing our couples create modern luxe receptions at Cedia House using clear marquees and clean, crisp styling, with 90 acres of pristine gardens to take advantage of. Situated in picturesque Coorabell, Verandahs is a beautiful Byron Bay home with tranquil surroundings. Featuring luxury accommodation options on-site, this blank canvas venue is perfect for contemporary and fresh reception styling. We love seeing our couples enjoy canape hour on the Verandahs lawn using our range of cocktail furniture and decor - the possibilities are endless when it comes to styling this DIY space. Just a few minutes from our warehouse, Kirra Hill Community Centre is a local favourite. With its stunning ocean views and convenient coastal location, Kirra Hill has plenty of open space to bring marquee or tipi weddings to life. For couples dreaming of a beachfront ceremony, Kirra Hill also offers incredible ocean lookouts, along with an intimate indoor space for smaller receptions or wet-weather. 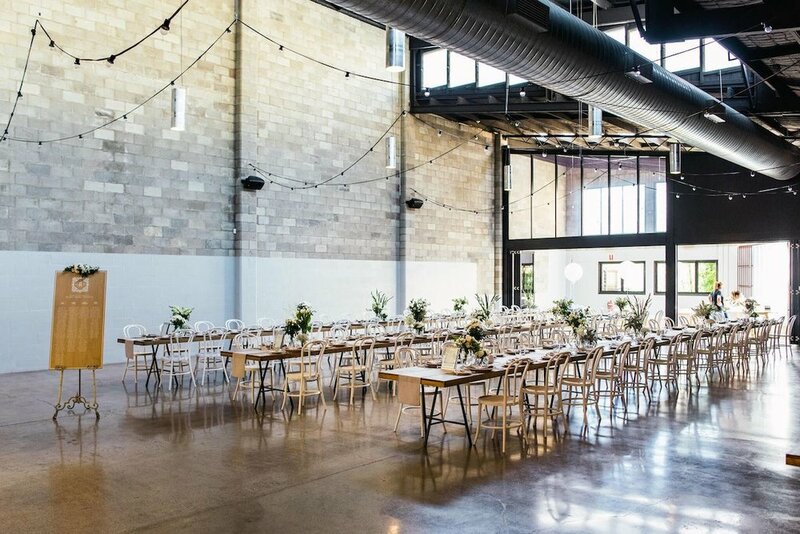 With modern architectural design, statement lighting fixtures and polished concrete floors, the light-filled warehouse space at The Joinery in Brisbane is the perfect blank canvas venue for industrial weddings. We love seeing contemporary, urban-inspired settings being brought to life inside this striking DIY space, conveniently situated in West End. Forget Me Not is a secluded private farm nestled in Coopers Shoot, known for its picturesque surroundings and stunning natural backdrops. 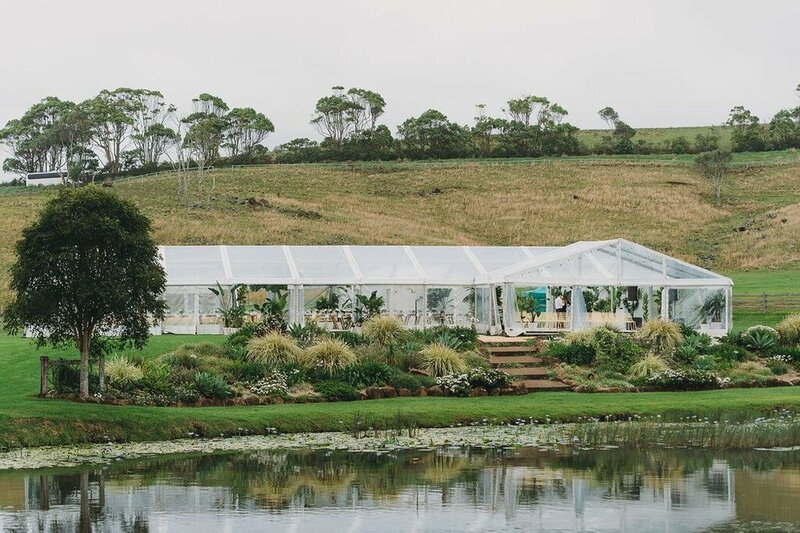 With ample outdoor ceremony locations to choose from, along with a huge lawn perfect for marquees and tipi settings, Forget Me Not is an ideal blank canvas venue for laid-back brides wanting to create a personalised celebration in Byron Bay. Located on the foreshore of Byron Bay’s most beautiful beaches, Elements of Byron is a luxurious resort complete with 5-star facilities. With a selection of unique spaces to choose from on-site (including the amazing ‘Heart of the Bay’ overlooking Belongil Beach), we love seeing our couples create modern coastal events at this stunning blank canvas location. So if you’ve been searching for the perfect blank canvas wedding venue on the Gold Coast, Brisbane or Byron Bay, make sure you add these 11 venues to your short-list! We personally love DIY wedding receptions, particularly when it comes to helping clients create the perfect furniture plan for their event. We have everything you need to build your dream wedding from scratch, including dining tables, dining chairs, cocktail furniture, cutlery, glassware, napkins and so much more. You can check out our top tips for planning a marquee wedding on the blog for more helpful information, or get in touch with our team for a copy of our latest catalogue!